We begin by having your leaders and managers take our proprietary assessment to generate data-driven insights on their performance, leadership, and culture. With that data, our coaches will customize a learning & development path that is a combination of coaching, leadership training, and team circles (see steps below). Once we’ve reviewed the data together, we then set up an introductory workshop at your offices to address a couple critical blind spots and build the foundation of trust with your leaders and managers to achieve breakthrough growth over the next 6-12 months. Sustainable organizational transformation is only possible when leaders set the example, which is why we require key leaders to receive 1:1 coaching to address their leadership blind spots. There is nothing more inspiring to team members than seeing their leaders committed to their own growth and transformation. We typically pair your top executives with our most senior executive coaches and run a full 360 assessment and report to ensure no opportunities for growth are missed. For your managers and high potential talent, we pair them with coaches who have a proven track record of developing managers at top organizations. For a complete overview of our coaching process, please click the learn more link below. 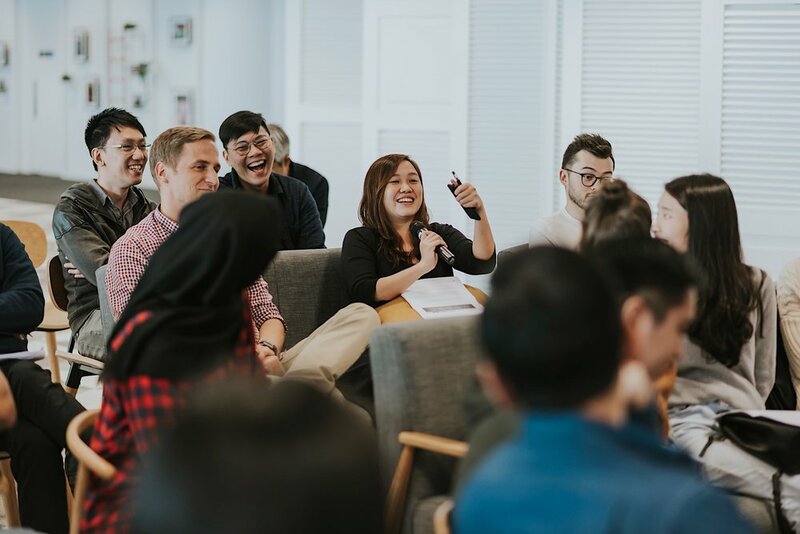 Now that we have the data-driven insights, hosted an introductory workshop, and your key leaders and managers are receiving 1:1 coaching, we then host monthly 90-minute trainings where your leaders target one organizational blind spot. For example, if we find that team members in your organization are beating themselves up for their mistakes and failures (which reduces innovation potential), we will host a session with your leaders on growth mindset, which is the number one skill organizations like Google teach their leaders. What’s unique about these sessions is they are designed to support your leaders to both learn a new skill, and bring that skill to their respective teams. This is another example of our philosophy that sustainable transformation comes from empowering your leaders to ignite change, rather than paying flashy consultants to do it for you. We often host these skills trainings online, that way your busy leaders can attend from wherever is convenient, and it’s more affordable for your organization. In addition to the monthly skills training, we also recommend setting up once monthly team circles where a facilitator guides small groups of leaders through a formal process that improves team cohesion, communication, and trust. 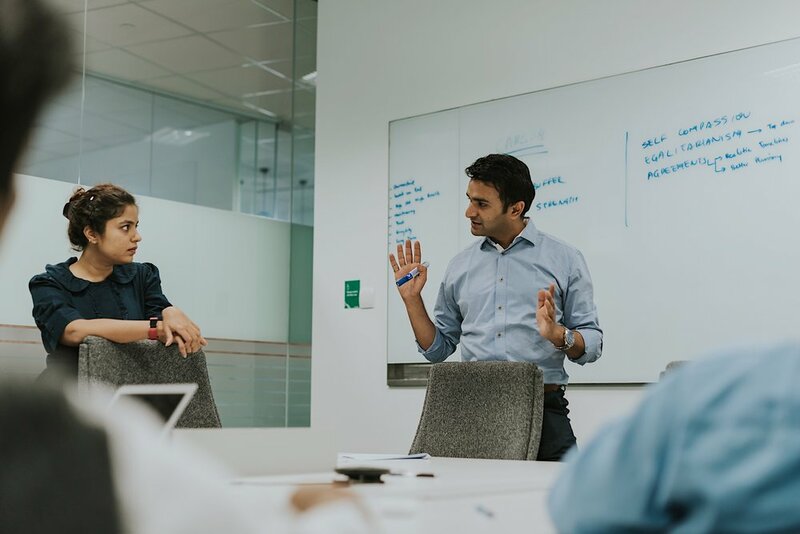 Unlike sessions with formal curriculum, these sessions allow each team member to communicate their deepest challenges and biggest opportunities in a safe environment. The interpersonal team breakthroughs we have seen in these sessions are nothing short of remarkable. Through the combination of data-driven insights, micro-learning, individual coaching, monthly skills trainings, and team circles, you can create a deeply engaging workplace. However, none of this is exciting unless we can see that our efforts are actually working. 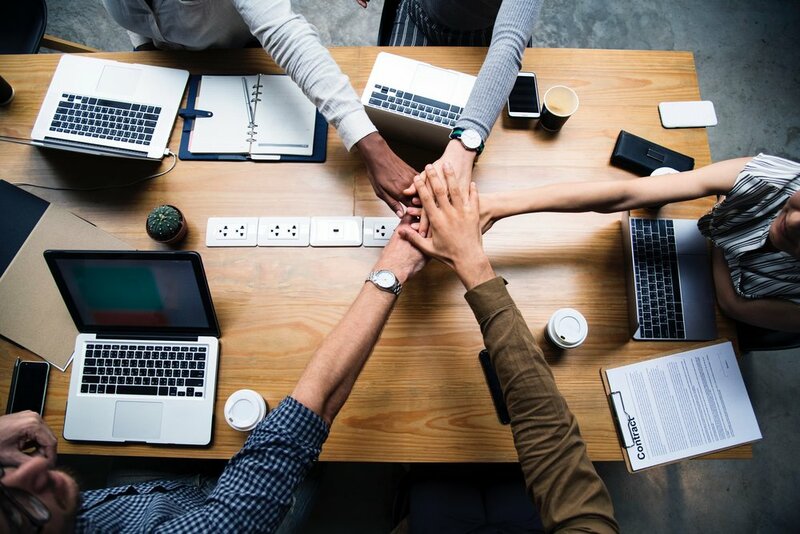 Throughout our engagement we will monitor our learning ROI through through quarterly assessments and qualitative interviews with your team members. After 6 months we will then integrate our findings into a comprehensive impact report that can be shared with your leadership team and board.